Blue(s) –Blue is the color of the mind and is essentially soothing. Blues affects us mentally as opposed to Red,which affects us physically. Other traits associated with blue are trust, intelligence and efficiency. Green(s) –Green reflects balance. When the eye sees Green it requires no internal adjustment and is restful to the processing of the color. Green is the center of the color spectrum and for that reason is considered to provide balance. Other traits associated with green are harmony, restoration and environmental awareness. ‍Violet(s) –Provides a spiritual awareness. Violet is believed to take awareness to a higher level. It promotes deep contemplation and vision and is best used in settings subtly as too much can change the tone of communication in an environment. Brown(s) – As a mixture of red, yellow and black, brown has the seriousness that the color black conveys but is much warmer. Brown projects reliability and support into its environment. 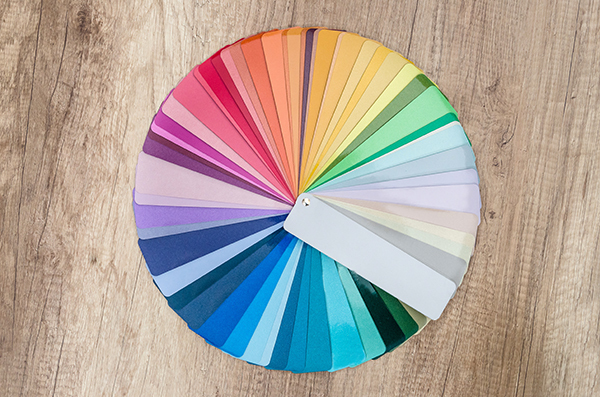 These colors are best utilized in work surfaces, either in a blended format or shades of the color choice you feel would offer the best connection to the environment for your 24/7 team. White(s) - White provides total reflection, simplicity and purity/cleanness. For those reasons you will find white as the prominent color in hospital E/R’s, labs and x-ray facilities as white also is considered a color of efficiency. Grey(s) – Grey makes no demands on psychological properties of the mind. It is considered a total and completely neutral color. Utilized as a foundation or base color, in a 24/7 environment it allows for its negative impact of drawing oneself in and preparing for hibernation (think grey days!) to work in the environments favor as providing a “secluded area” when the 24/7 employee must address emergencies and focus only on the 911 call. Black(s) – Black is sophistication, security and emotional safety. Black is considered to create protective barriers while communicating clarity. Again, as a foundation or base – black is all colors – it suggests excellence and substance. And it is a common choice for environments such as command centers and security and surveillance centers. These colors are best utilized as your foundational structures to your console, again choosing the color that will enhance your 24/7 environment at a psychological level for your employees. The e-System color wheels provide ranges and blends of these colors in its selection and as a member of the e-Systems team, with not only console design but interior design experience, I would welcome the opportunity to work with you to design, not just a 24/7 environment but one that harnesses the positive properties of color to best suit your 24/7 team! So contact me today and let's discuss what furniture and color schemes would work best for your critical environment.